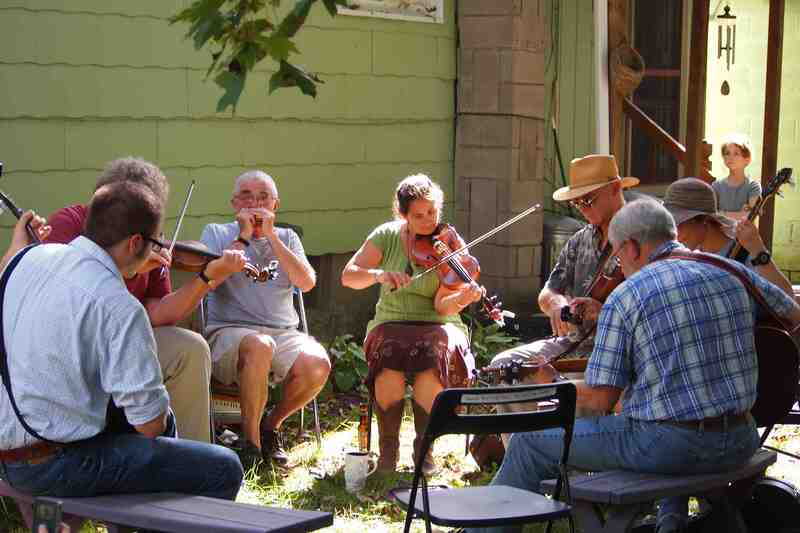 Last Sunday was Porchfest in Ithaca, New York. It was a really cool event and so simple. 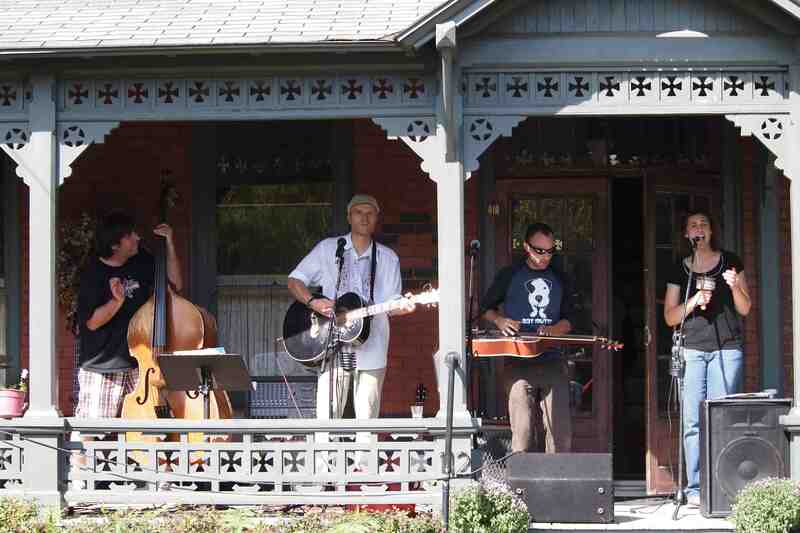 Throughout the city’s Fall’s Creek neighborhood musicians of all ages played every genre of music imaginable, from Celtic to classical to indie rock, all on porches and in front yards. What a great grassroots event! Local organizations opened their facilities to people visiting for the event, while some nonprofits sold baked refreshments and lemonade. People of all ages walked around and rode bicycles, enjoying the music. The idea of Porchfest came to co-organizers Lesley Green and Gretchen Hildreth one day when Green was outdoors playing ukulele with her husband and Hildreth was walking by. They began chatting about on how nice it was to hear music played in the neighborhood and the two came upon the idea of Porchfest, which began in September 2007 with 20 bands. 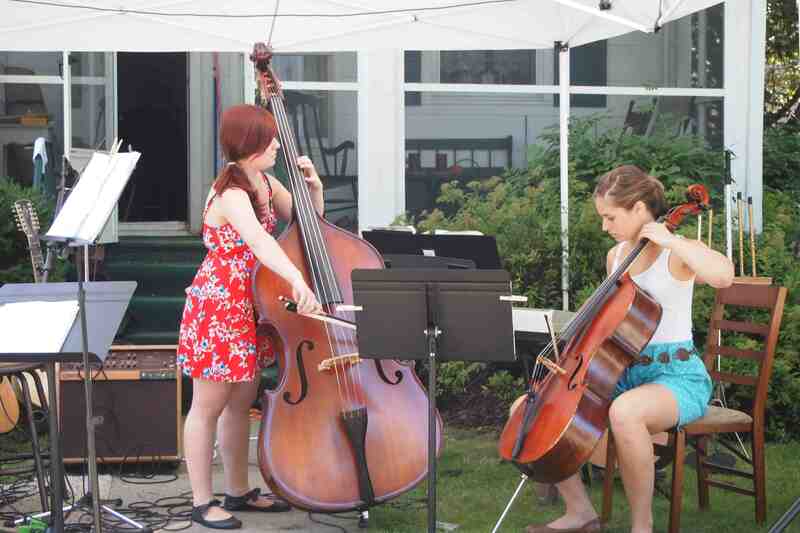 This year Porchfest featured 95 bands (that’s 300 musicians! 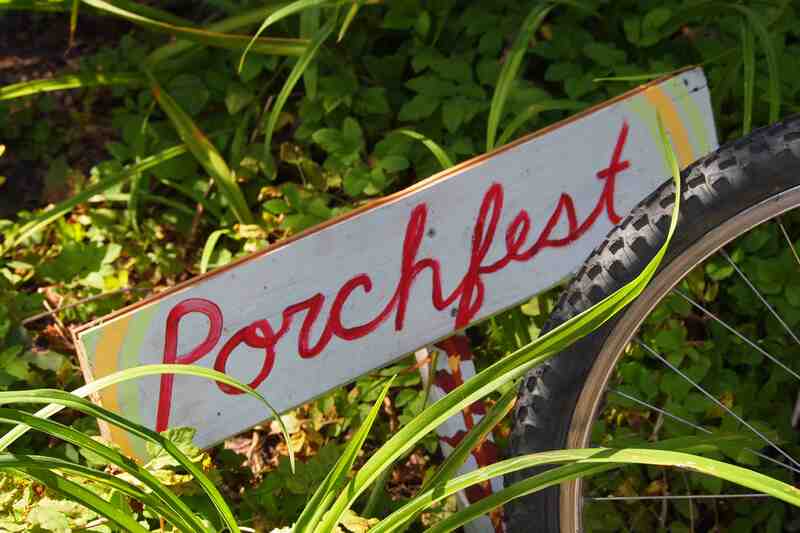 ), and visitors to the event have been so inspired that annual Porchfests have sprung up in other places—Belleville, Ontario (September); Somerville, Massachusetts (May); Larchmere, Ohio (June); Napa, and California (July). Two members of the Rosie Rocca Trio. Look for an article about Porchfest in the February/March issue of Making Music.